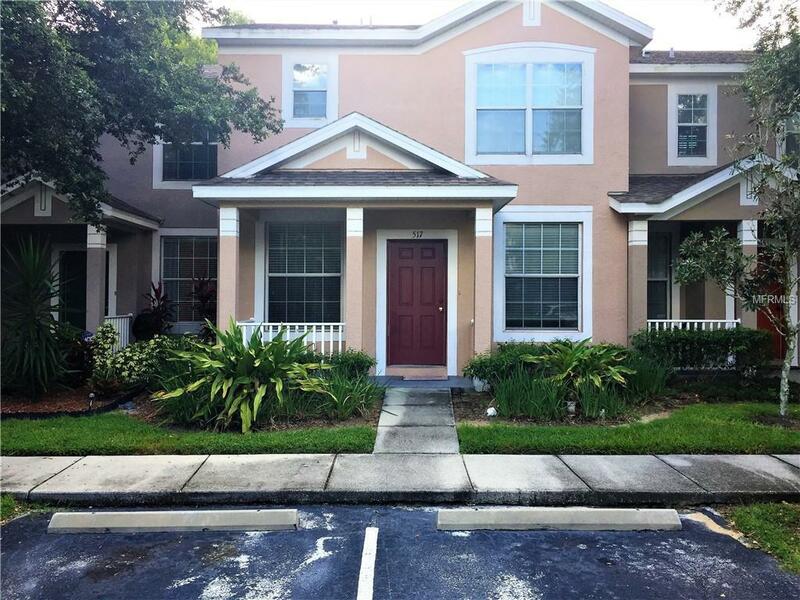 Move in ready townhome with 3 bedrooms, 3 full baths, living room, dining area, family room, closet pantry, large walk-in closets in all 3 bedrooms, and covered lanai. Ceramic tile, wood cabinets and plush carpeting are just some of the features this townhome offers. Assigned 2 parking spaces in front of the townhouse. Quiet gated community with pool, located close to schools and shopping.